LEGO Dimensions just officially revealed the first look at the LEGO E.T. 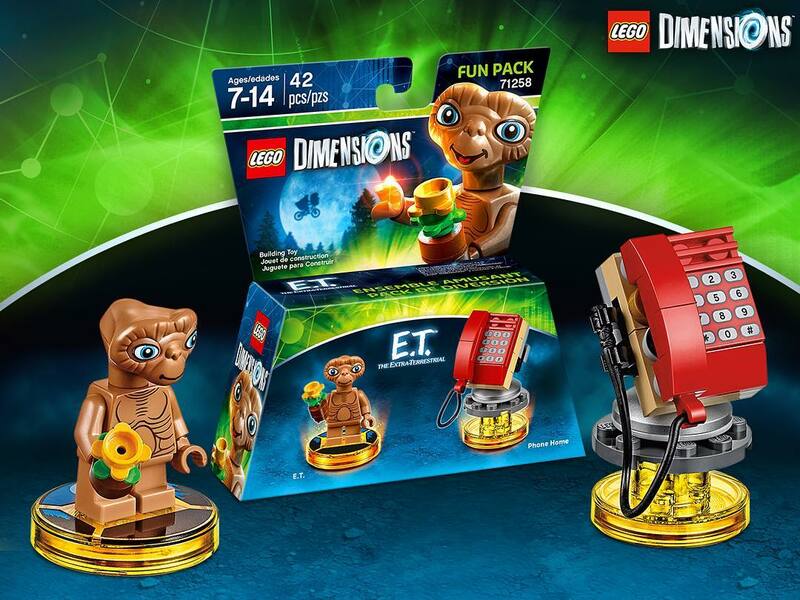 Extra Terrestrial Fun Pack for LEGO Dimensions. The E.T. Fun Pack #71258 comes with E.T. and his flower as well as the ‘Phone Home’ gear piece. Curious to see what the rebuilds are for this pack! If I were to guess, this will be a Wave 7 release in November. Stay tuned to BrickInquirer for more LEGO Dimensions news throughout the SDCC weekend! Remember to follow me on Facebook and Twitter to stay up-to-date on all your LEGO Game news (ephansis on LEGO Dimensions)! Be sure to check out my weekly podcast, The Toys For Games ‘Cast where we talk all things in ‘Toys To Life’ genre!